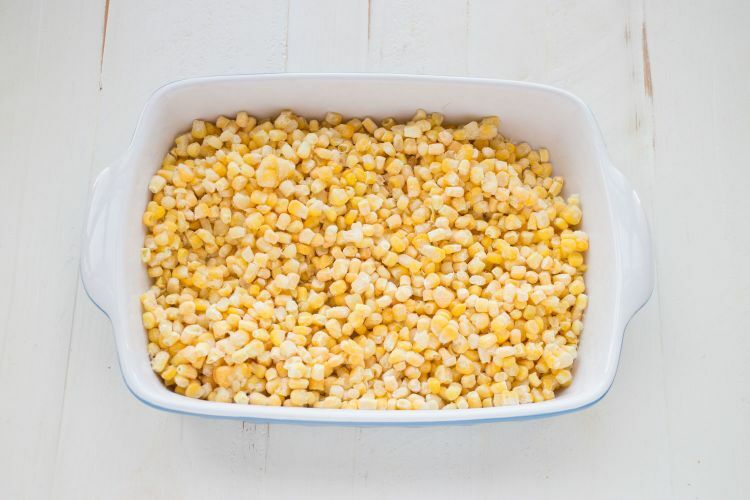 I love this cheesy corn casserole because it’s a quick comfort food that is super easy to make. 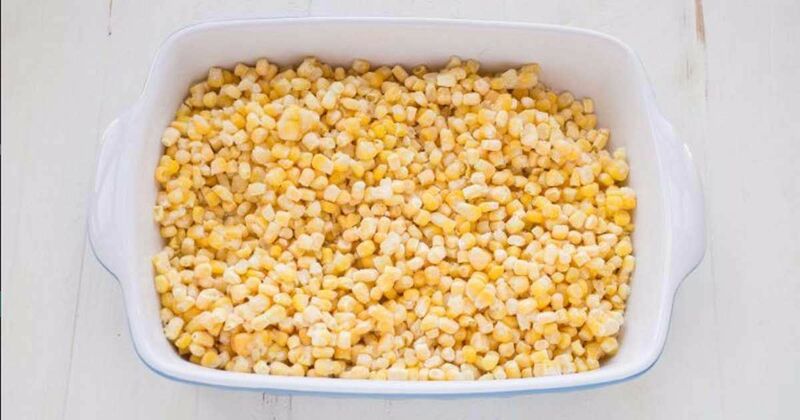 It’s the perfect side dish for the holidays or to bring along to a potluck. 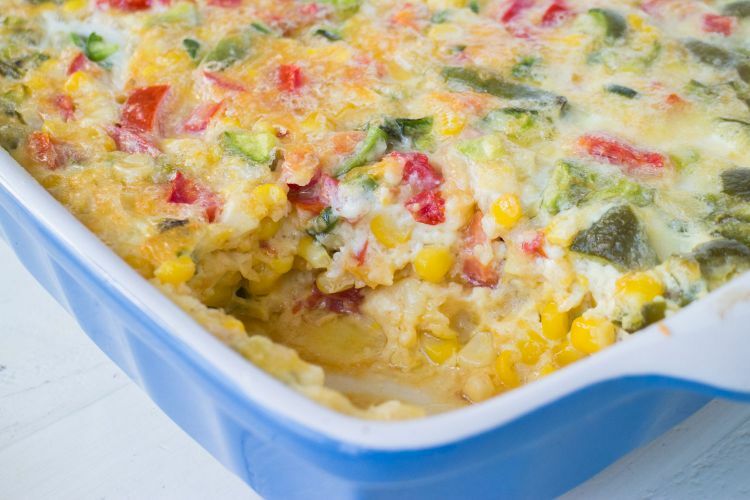 Even better is that there are no dirty dishes to clean up besides the casserole dish. Delicious food and easy cleanup — who doesn’t love that? If this describes you, be sure to check out the recipe below. 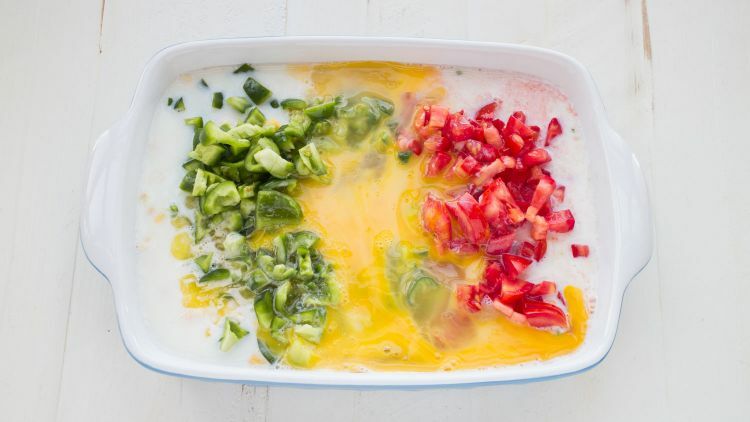 The comfort part of the recipe below comes from milk, butter, and shredded cheddar cheese. 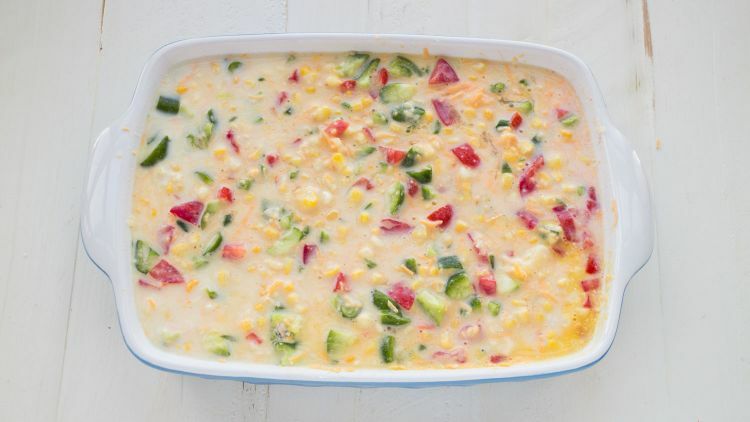 The real stars of the show, though, are the vegetables: frozen corn, tomato, green bell pepper and jalapeno pepper (for a subtle kick). If you grow all these vegetables in your garden, this can also be a happy harvest meal. 2. 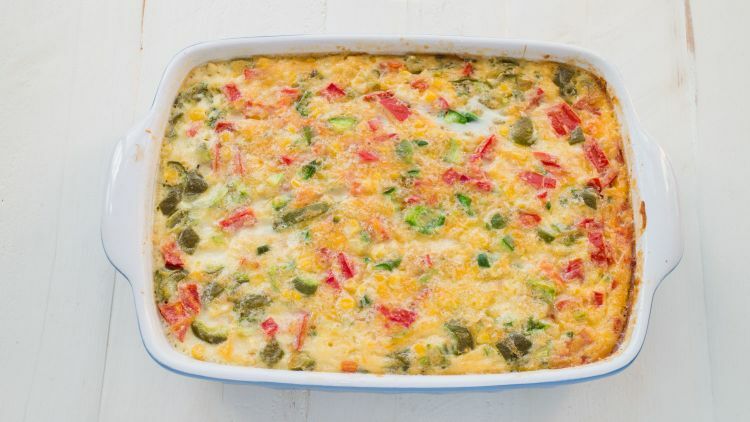 In an 8-by-12 casserole baking dish, add all the ingredients. 3. Stir with a spoon to mix everything up. 4. Bake for 50 minutes. 5. Let sit on counter for 5 minutes to set. 2. 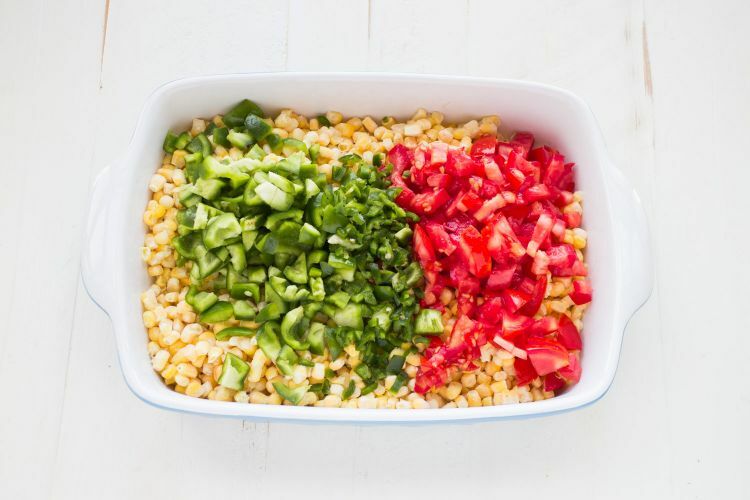 Add the rest of your veggies: tomato, green bell pepper and jalapeno. 3. Add your wet ingredients. 4. 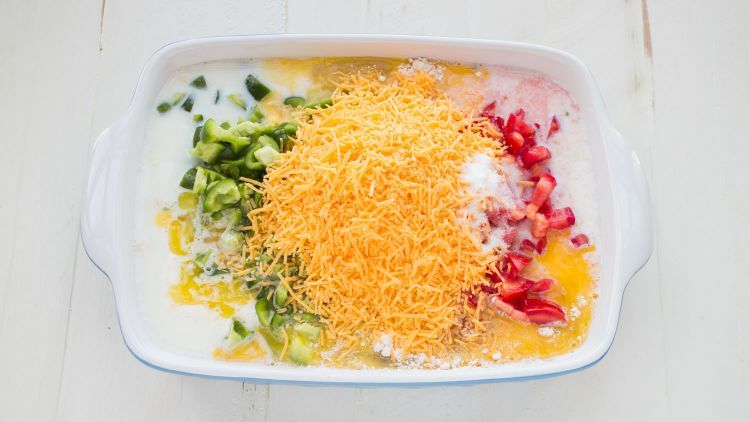 Add your shredded cheese. 5. Stir so everything is combined.